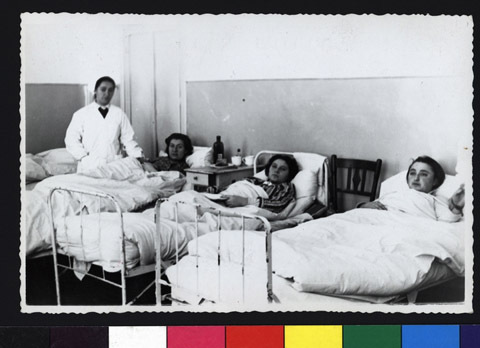 JDC - Archives : Hospital room in the Kibbutz Shahriah. Search > Search Results > Hospital room in the Kibbutz Shahriah. Title Hospital room in the Kibbutz Shahriah. Description The USSR-German Pact of August 23, 1939 brought Soviet Dominance to the Baltic area. On October 10, 1939 Vilna was transfered to Lithuanian republic. Lithuania was one of the countries that accepted Jewish refugees from Poland and other places. JDC organized the help to them through the local organizations.